We celebrate the 60th anniversary of the opening of the Squirrel Hill Tunnels! Looking at history, the ongoing renovation project, and some surprises, including help from Sam Hall, WTAE's traffic reporter. Rick Sebak presents a program about the many wonderful things about Millvale. It's Pittsburgh: "I taste them everywhere I go." This program is a sampler of "Extras" from 3 of our Pittsburgh History Series specials. From RIGHTBESIDETHERIVER, Nic DiSio from Reyna Foods shows us how he makes tortilla chips in Cadogan, PA, and we talk to folks in California, PA, about an old movie of their town in 1938. 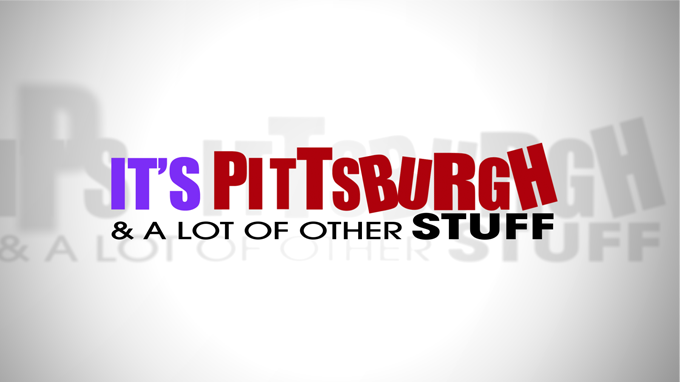 Then we share some extra bits from UNDERGROUNDPITTSBURGHand WHATMAKESPITTSBURGHPITTSBURGH? Good fun stuff! Why Do You Live In Pittsburgh? The local art scene, job prospects and affordability were some of the reasons why Pittsburgh has received national honors for being one of the “most livable” cities in the country. But what we want to know is why the folks who call our fair city home live here. What’s brought them here and, perhaps more importantly, what keeps them around year after year. Why live here is the question and Rick Sebak seeks out the answer from the people in this “most livable” city. In June 2012, the North Side Leadership Conference held a special North Side Sandwich Week competition at the Penn Brewery. Cameraman Bob Lubomski and producer Rick Sebak went to sample some of the sandwiches (like the Roethlisburgers in the photo -- they were cut into smaller pieces! ), and now we've put together this report celebrating ten great spots to get outstanding North Side sandwiches. It's Pittsburgh: "I think there's a question of sanity." It's a giant sort-of-Victorian holiday village covered in candy! It's an astounding work of folk art. It's Gingerbread Lane. We follow its creator, chef Jon Lovitch, from icing in February to assembling in November at Station Square. Sweet stuff! It's a goofy celebration of some programs produced and narrated by Rick Sebak at WQED. It's also a pledge program with rank amateurs doing pledge breaks! It's a revelation! And you can get all 33 Sebak DVDs as a thank-you if you pledge $400. That's a bargain! We look back on some of the best bits from IT'SPITTSBURGH's first season! Donuts in Elliott, breakfast at Square Cafe and Hot Metal Diner, a stupendous bike ride up Pittsburgh thirteen steepest hills, and lots more. They are the Pittsburgh region's two largest and oldest county parks. Both opened on June 18, 1927, and both are full of good surprises. Which is better? Wanna fight? "I'm just the man that makes the donuts." It's a donut show! We check out good ones from Steuben Street in Pittsburgh's Elliott neighborhood to Baker Tom's on the big island of Hawaii. It's a celebration of bakeries and some of the best things we eat in the morning.